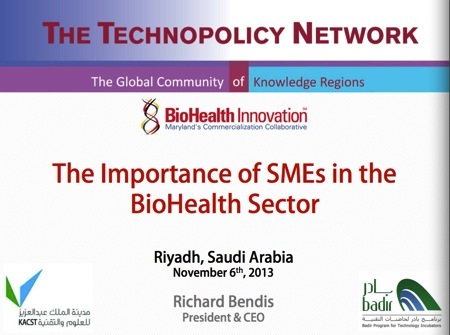 Innovation and creation are at the heart of the biotech industry and close to the heart of international business development consultant Richard A. Bendis. Bendis, 65, has devoted almost 40 years to helping enterprises grow, in both the public and private sector. Most recently, Bendis was named CEO of the new regional effort to foster commercialization of federal and university laboratory innovations and increase access to early-stage funding for biotechs. BioHealth Innovation of Rockville is a nonprofit private-public partnership that leverages the resources of several biotechs and research institutions, including the University System of Maryland and Johns Hopkins University, in the Baltimore-Washington, D.C., region. Québec n’aura pas été sacrée ville « intelligente » de 2012. Elle s’y reprendra probablement, mais déjà elle sait qu’elle peut en montrer à la nominée californienne : Riverside! « I have never seen an event like this one in the USA », nous avouera sur place Richard A. Bendis, le pdg de Innovation America, qui était venu de Philadelphie pour participer aux deux jours de l’événement « QUÉBEC EN MODE SOLUTIONS ». The AUTM Leadership Forum is a high level forum for seasoned academic technology transfer professionals and their industry counterparts from around the world. The goal of the forum is to connect university professionals with industry colleagues to discuss taking a leadership role in accelerating commercialization. As a group, we will identify tactics to advance the technology transfer profession and practices globally. It is a well-accepted fact that innovation is the key to growing and maintaining our nation’s competitiveness in the global economy. For example, the United States gets more than half of its economic growth from industries that barely existed a decade ago, and three fourths of new jobs are found in entrepreneurial companies fueled by innovation. It is also widely known that universities are increasingly the most important source of the innovation pipeline that is driving our economy. In one sector alone – biotechnology – the evidence is especially clear. The most recent list of the “top 20 biotechnology patent entities” is dominated by universities, and all of the “most cited” biotechnology patents come from academia. Many other sectors are likewise heavily dependent on universities. Income from University of Iowa inventions has plummeted faster than at all but a handful of U.S. research institutions, an analysis of national data shows. U of I licensing revenue dropped from $43 million in 2009 to $6 million last year, the comparison period, because of a single expired drug patent. Revenue ticked up slightly to $7.3 million in 2012. 3:37PM EST November 25. 2012 - Income from invention royalties at the University of Minnesota and University of Iowa has plummeted faster the past two years than at all but a handful of U.S. research institutions, an analysis of royalties data shows. Of universities that earned more than $2 million in royalties in 2009, the University of Minnesota saw the biggest drop in revenue over the next two years, Association of University Technology Managers data show. Minnesota lost $75 million in licensing revenue from 2009 to 2011. An expiring anti-AIDS drug patent dropped its income last year to $10 million. Iowa's royalties plummeted from $43 million in 2009 to $6 million last year, also because of a single expired drug patent. 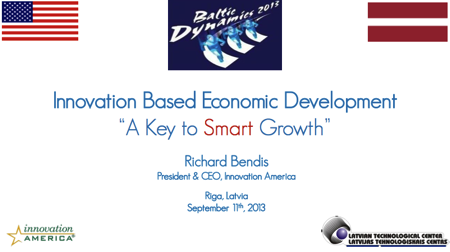 In this newsletter we proudly present the new Chairman of the Advisory Board; Richard Bendis. With his expertise on innovation strategy The Technopolicy Network intends to strengthen its position as the global leading network on Science Based Regional Development and Science Based Incubation. In his article he will give you several insights in the opportunities that lie ahead of us. This is the time to pay tribute to the achievements of our founding Chairman, Prof. Roger Stough. With his advice and support Prof. Stough made The Technopolicy Network to what it now is. In his article he looks back on the growth of The Technopolicy Network over the past decade. Richard Bendis will be a speaker at the South by Southwest (SXSW) Conference which takes place from March 8-17 in Austin, Texas. SXSW is a set of film, interactive, and music festivals which occur every year in March. 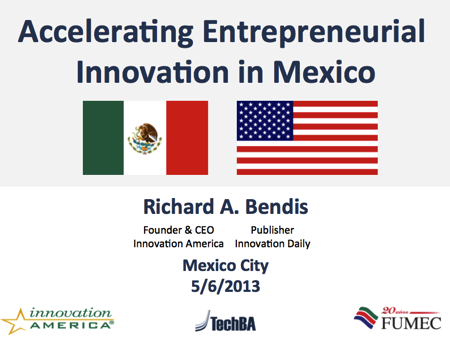 Mr. Bendis will be speaking on March 9th at a session titled "Entrepreneurs in Residence: Not Just for VCs." 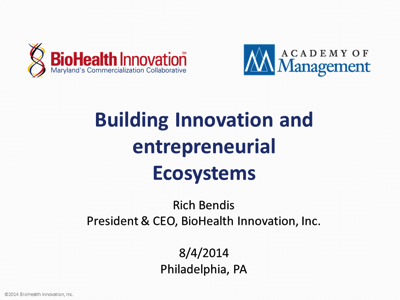 In his presentation, Richard will introduce the BioHealth Innovation, Inc. EIR program and speak about some of the commercialization challenges being addressed creatively by the biohealth community in Maryland. ROCKVILLE, Md., March 4, 2013 -- BioHealth Innovation, Inc. (BHI), a regional private-public partnership focusing on commercializing market-relevant biohealth innovations and increasing access to early-stage funding in Central Maryland, today announced that BioHealth Innovation, Inc. President & CEO Richard Bendis is scheduled to present at the upcoming SXSW 2013 conference and the 2013 BIO International Convention this Spring. Mr. Bendis is also serving on the Program Committee for AdvaMed 2013: The MedTech Conference, which will be held in Washington, DC, in September.